Rizla Liquorice Flavour Cigarette Smoking Rolling Papers. 100%25 Genuine stock. 50 Papers in 1 Booklet (Total 500 Papers over 10 Booklets. ). 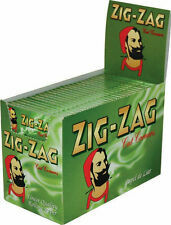 20 BOOKLETS OF ZIG ZAG GREEN PAPERS. Full Case of Raw Classic Kingsize Rolling Papers. They have a natural light brown colour due to the hybrid blend and unbleached fibres which results in a thin golden brown almost translucent smoking paper. 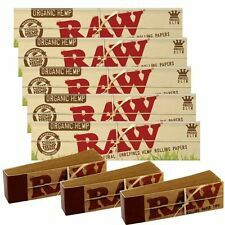 5 RAW Organic Hemp Kingsize Slim Rolling Papers. 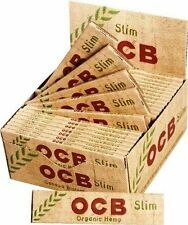 5 x Organic Hemp Kingsize Slim. 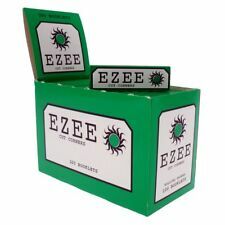 Ezee Regular Green Rolling Papers with cut corners are a high quality paper produced By Rizla and this product gives you the high standards that you would expect from any other Rizla products. Ezee papers are great to use in a rolling machine. Green Zig Zag papers have cut corners for an easy rolling experience. 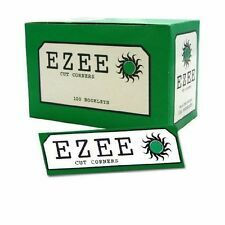 Zig Zag Tobacco Rolling Papers Green Cut Corner. 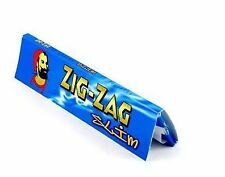 1 Full sealed case case of 100 booklets of Zig Zag Green Rolling Papers. Perfectly rolled and tipped, just fill and enjoy! Windmill powered, GMO free, total chlorine free, vegan friendly product. SWAN GREEN STANDARD ROLLING PAPER. 100 BOOKLETS IS 1 FULL BOX. Cut corners for ease of rolling. 50 PAPERS PER BOOKLET. Papers are made from flax and wood. GREEN CORNER CUT. 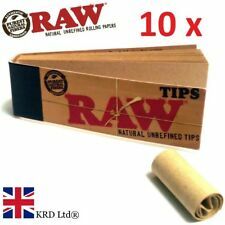 King Size Pre Rolled Smoking Cones Tobacco Cigarette Joint Ready - JUST FILL IT! The Smoking Bundle is Great for Parties or Special Events. Phone Accessories. Each order you will recieve the item which one on Picture! Dog Accessories. Pet Supplies. Travel Accessories. Children's. Rizla Green Standard Cigarette Rolling Paper. You Will Receive 12 Booklets (12 x 50 = 600 Papers). Rizla Green have been the UK's favourite rolling paper for over 40 years! 1 Full Cases Of100 Booklets of Green Genuine Rizla. Quality papers, rolling since 1796. Hornet King Size Transparent Rolling Papers (1 Booklets). 1X Hornet Clear Rolling Papers King Size. Ready made king size cones. 32 cones per box - slim and compact design. RAW Classic Papers. Natural & unrefined papers. Unbleached papers. Natural Unrefined Paper. King Size ORGANIC HEMP cones. 1 1/4 PUREST NATURAL HEMP FIBERS. 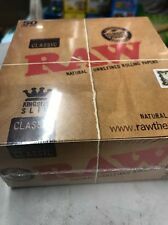 3 x RAW BLACK Papers King Slim Authentic Classic Natural Unrefined! FIRST CLASS. Condition is New. Dispatched with Royal Mail 1st Class Letter. 4 x King Size Pre-Rolled Cones. Premium Pre-Rolled Cigarette Paper. Quick Dispatch. Size: 11cm in length approx. We do not accept any liability if your order is delayed by our carriers or due to adverse weather.